Nicki Minaj Thanks, Cardi B ... My Business is Exploding!!! 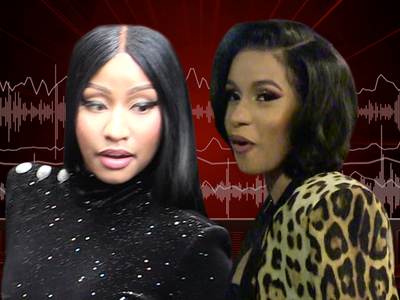 Nicki Minaj thinks Cardi B took a giant L in their war that almost erupted in hand-to-hand combat, because Nicki's business empire has gotten even bigger, her radio show has shot to #1 and all Cardi got was a lump on the head. Sources connected to Nicki tell us the MC is ecstatic Cardi went nuclear at Friday night's Harper's Bazaar Fashion Show. Nicki's podcast, "Queen Radio," was trending at the top of Twitter Monday and the show has been sitting pretty at #1 on Apple Music ... all the result of the publicity Nicki's getting off the fight. Sources say her listeners quadrupled last week from the week prior. Not just that, but we're told Nicki believes her strong debut numbers for her new music video for "Barbie Dreams" is partially due to Cardi's antics. The video's already got over 5 million views after just one day of being released. There's also this ... apparently, Nicki's been getting blown up a lot more for appearance requests and concert bookings in the last few days. 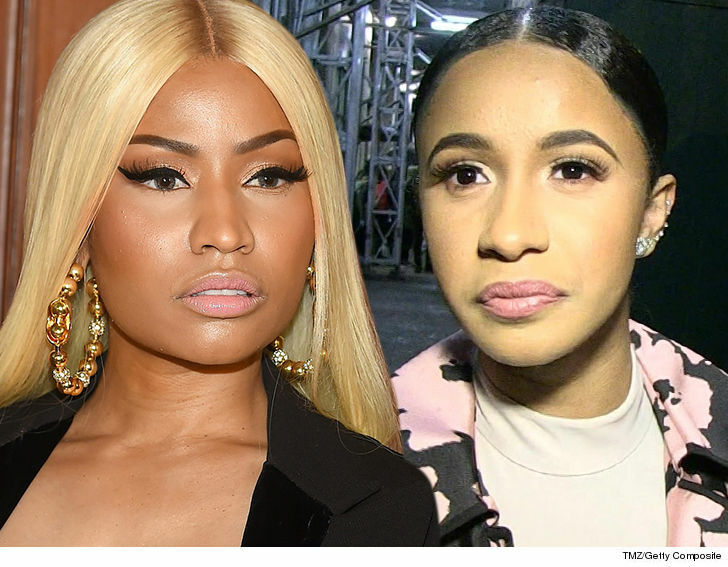 One last parting shot ... we're told Nicki believes Cardi's the one who's been made to look like a laughingstock after the shoe-throwing incident, especially after she walked away with a fat knot above her eye. She's been kinda getting the meme treatment ... no arguing that. Besides, sources say Nicki feels like her friends in hip-hop and celebs in general are siding with her and praising how she handled the situation. Cardi, of course, feels differently. We got Common in NYC Tuesday, who has a slightly different take ... he says he's got nothing but respect for both women and believes they'll resolve it all peacefully. Nicki Minaj Hits NYC with Lewis Hamilton, 3rd Wheel?